These angels usually do very well in reef tanks as they’re usually smaller in size and don’t grow very large. Because of their small size, most can be kept in reef tanks as small as 30-55 gallon tanks, but they do require hiding spaces. Some are hardy while others are rather shy and will not eat and just waste away. Like all angels, some will pick at corals and clams, so they need to be watched when placed in a reef tank. These angels don’t live as long as some of the larger angels, with some living only up to 5 years, while others, quite a bit less. 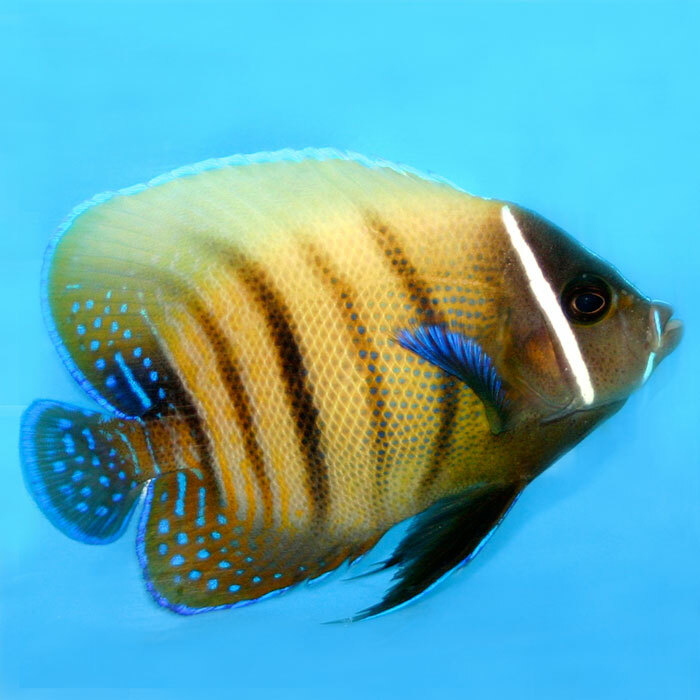 Some pygmy angels can be mixed together, but it’s usually best to just have one per tank (unless the tank is large), as they will usually fight. They do very well with the larger angels and usually can be mixed very easily. They also do very well in FOWLR tanks and get along with most other fish. They do best in established tanks, whether reef or FOWLR tanks. They will pick on algae in the tank, but should be fed nori, flakes, and formula foods. An angel that isn’t always the hardiest and usually does well if placed into a tank without other large angels. They don’t get too large and small ones will actually do well in 4 foot tanks. They usually doesn’t show up for sale that often and ones that do aren’t full adult sizes.